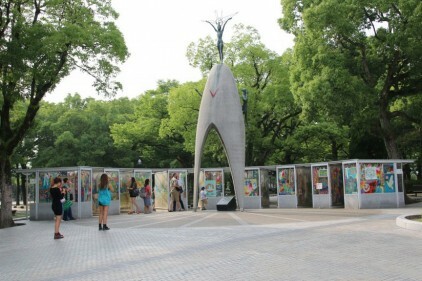 The 6th of August marked the 70th year since the nuclear bomb was dropped on Hiroshima which resulted in 40,000 deaths. One of the victims was Sadako Sasaki who was 2 years old when the bomb fell and though she survived the attack, she succumbed to leukemia at the age of 12 as a result of exposure to radiation. 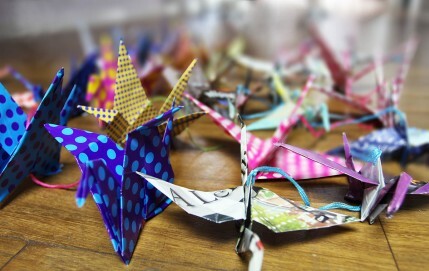 During her hospitalisation, she remembered the Japanese myth that upon folding a thousand origami cranes one is granted a wish and in her struggle to stay alive she started folding cranes from medicine wrappers and anything she could find, with some being so small she had to fold them with a needle. 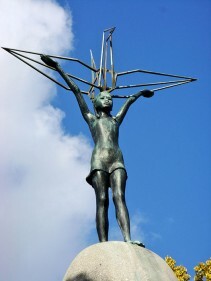 She passed away in 1955 and three years later a monument was built in Hiroshima’s Peace Park to remember all the children that died as a result of the bomb. At the top of the monument is a statue of a young girl with a crane and around it are glass cases which display thousands of paper cranes made and donated by people from around the world praying for peace. It is two years since I got married and as we had initially intended to honeymoon in Japan, I asked my wedding guests to indulge in the Japanese tradition of making paper cranes to bring good luck and prosperity to the marriage. 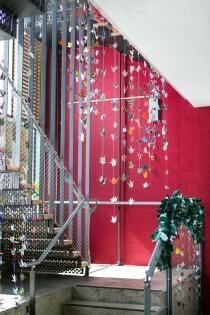 My mother took this to heart and made 1000 paper cranes pretty much singlehandedly! So our wedding venue was festooned with these lovely paper creations, which were all taken down carefully and have been stored since then. I wanted to do something special with them so the 70th anniversary seemed the perfect opportunity to put them to good use. 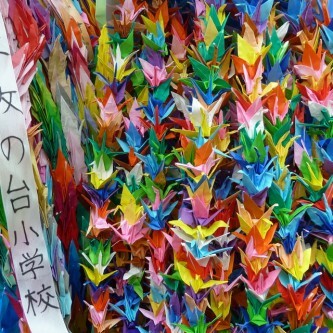 So at the end of July all but a handful of my favourite wedding cranes were flown out with other English donations to Hiroshima and hand delivered to the Peace Park. 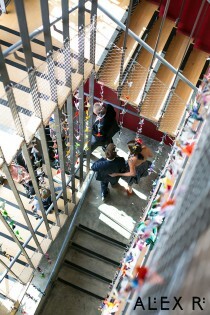 That is such a lovely and meaningful gift of your wedding cranes for life, peace and prosperity. Thanks, Joanne. I was glad to have had the opportunity to send them on. I am the person who told the interfaith lunch about SGI Brixton taking cranes to Hiroshima so I am delighted to see them there and must continue to work and pray for peace. Hi John, I’m so glad for your contact – I wanted the cranes to have another raison d’etre for coming into existence than just to decorate my wedding, and this completed the circle. My mum may have been too modest to take credit for making so many cranes, but it she singlehandedly made most of the thousand! Such a loving, peaceful, and fitting gesture. 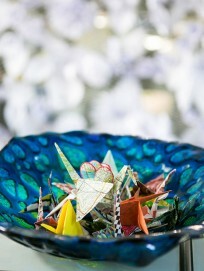 Your mum very kindly showed me how to make origami cranes! A friend of ours is getting married and 10 of us enjoyed a fun, ‘hen party’ at Bexhill-on- Sea lunching at The De La Warr Pavilion. We each gave the Hen a crane, containing a message. 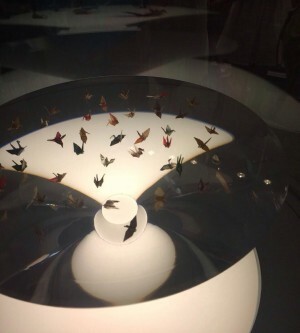 She was thrilled to bits and will possibly make a mobile of the 10 cranes. I heard about it! She told me that on that same day she found a stone on the beach with a hen-shaped white patch on it…. I’m going to enhance the details a little with engraving to make it even more hen-like and then she’ll give it to your friend as a reminder of the day. …very handy that glass tools also work on stone!